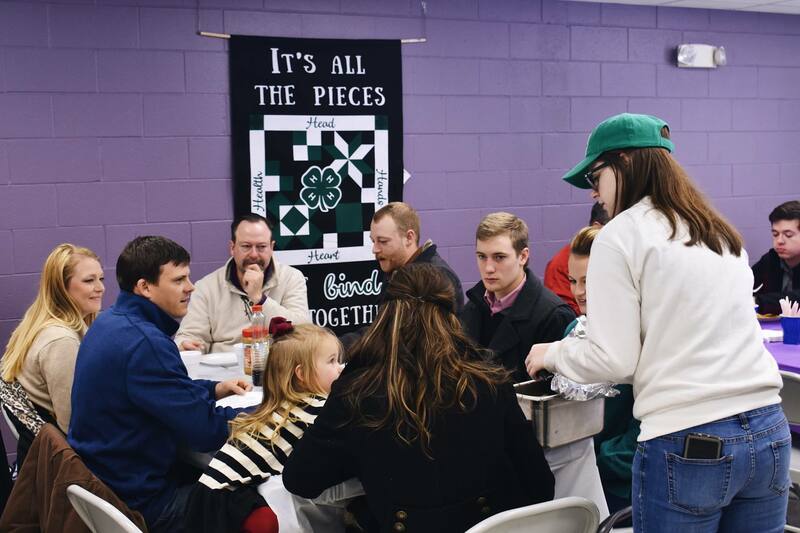 Sunday marked the Crawford County 4-H Jr. Leaders Annual Pancake Feed. 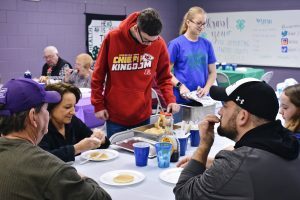 Although it was a snow-filled morning, 180 individuals came out to the K-State Research and Extension Wildcat District, Girard office to enjoy all you can eat pancakes, home style garlic sausage, eggs, juice and coffee from 7 a.m.-1 p.m. On Saturday, STEM and 4-H Youth Development Agent, Will Morris, began preparing 150 lbs. of homemade sausage with volunteers. Volunteers for the feed ranged from 4-H Jr. Leaders, parents of the individuals, and community members. Aside from sausage making, the volunteers were given tasks such as taking orders, flipping pancakes, scrambling eggs, grilling sausage, and everything in-between. The K-State Research and Extension Wildcat District would like to thank you for supporting their Crawford County 4-H Jr. Leaders. As a result of your generosity, they are able to continue to grow true leaders in our community. For more information, contact Will Morris, STEM and 4-H Youth Development Agent, (620)724-2690, willmorris@ksu.edu.